The cornerstone of a successful business. When the Campbell Soup Company came to Paris, Tom was providing trash service for the construction project. He was asked if he could provide a portable toilet service as well. Tom saw an opportunity to create a needed service that no one else in the area provided. At first he rented some units from a company out of Dallas and then later built ten wooden portable toilets. His service vehicle was a ½ ton pick-up truck, with a 200-gallon tank which used the vacuum from the gasoline engine to pump the units. It was a learn-as-you-go operation, but he learned fast. The years saw many changes in the industry and in Tom’s life. He started expanding into septic system pumping, restaurant grease trap service, and industrial pumping. As business began to pick up, Tom decided to sell his part in the trash business to his partner and focus more on the pumping service. Along with his business, Tom’s family also grew. Tom and his wife Barbara raised five children while managing the daily demands of a growing company. His youngest son Kelly went with his dad many times on jobs as a young boy and learned the trade first hand. Kelly went to work for A-1 Sanitation full time in 1990 and still carries on his fathers’ belief that honesty and hard work are the cornerstone of a successful business. 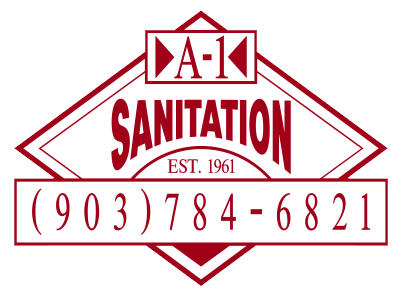 A-1 Sanitation employs six people and is Licensed in Texas and Oklahoma serving a 50 mile radius of Paris.